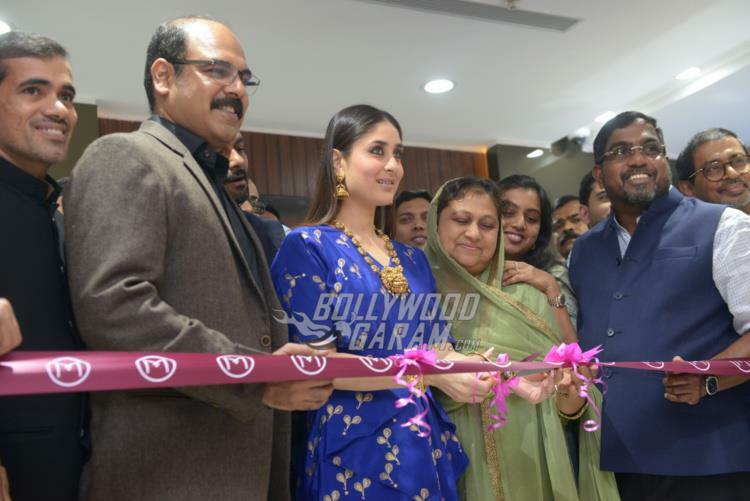 Kareena Kapoor the brand ambassador of the leading jewellery brand Malabar Gold, launched a new store in Delhi on April 26, 2017. 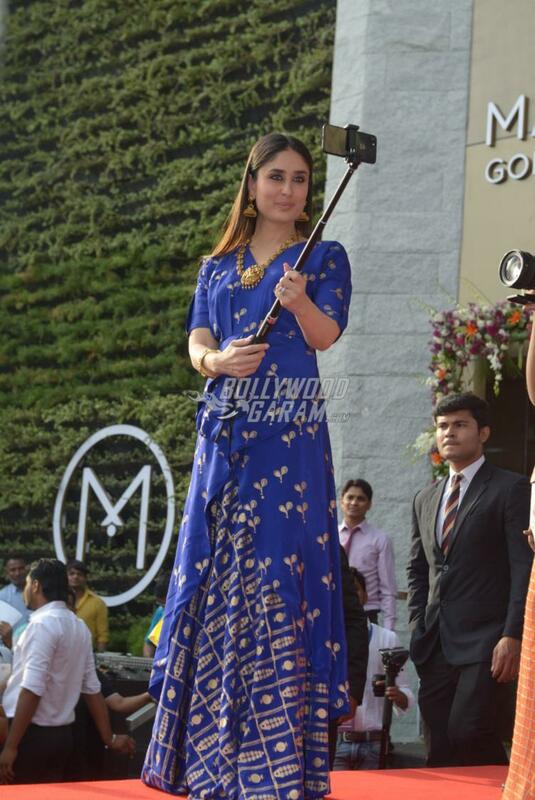 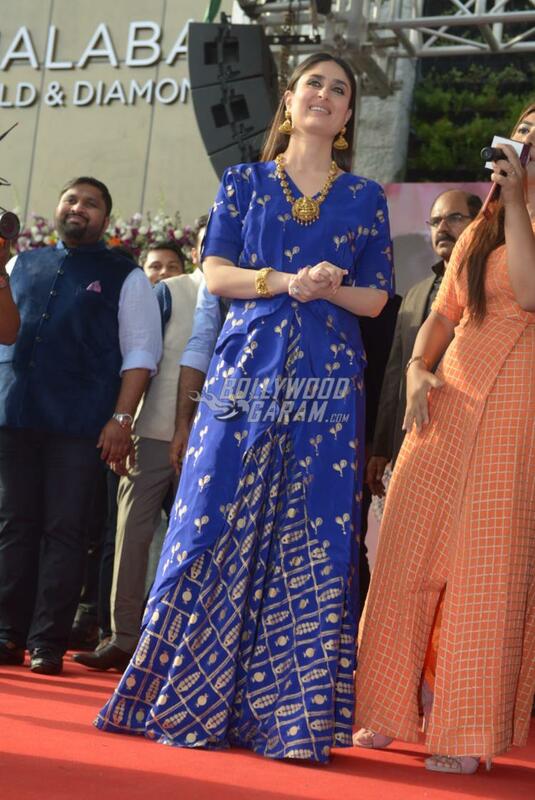 The Bollywood diva looked gorgeous in a blue semi-ethnic outfit by Masaba Gupta with chunky gold jewellery. 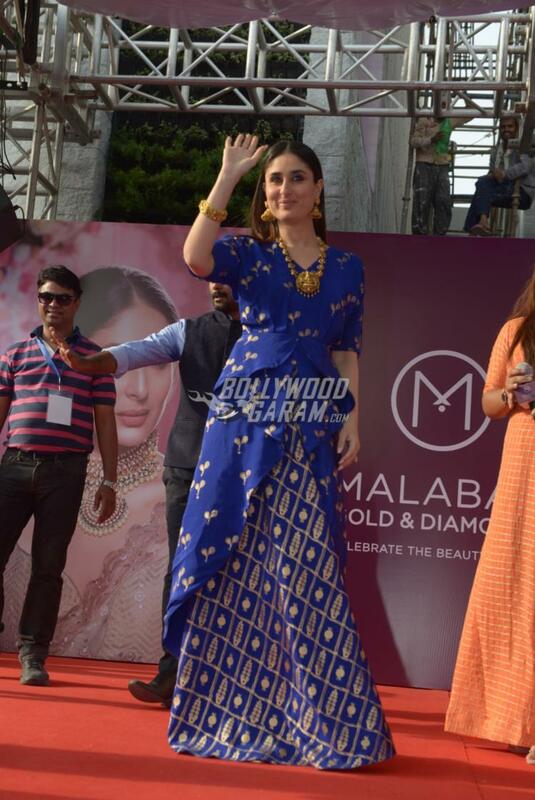 Kareena completed her look with minimum make-up and was all smiles and poses for the cameras. 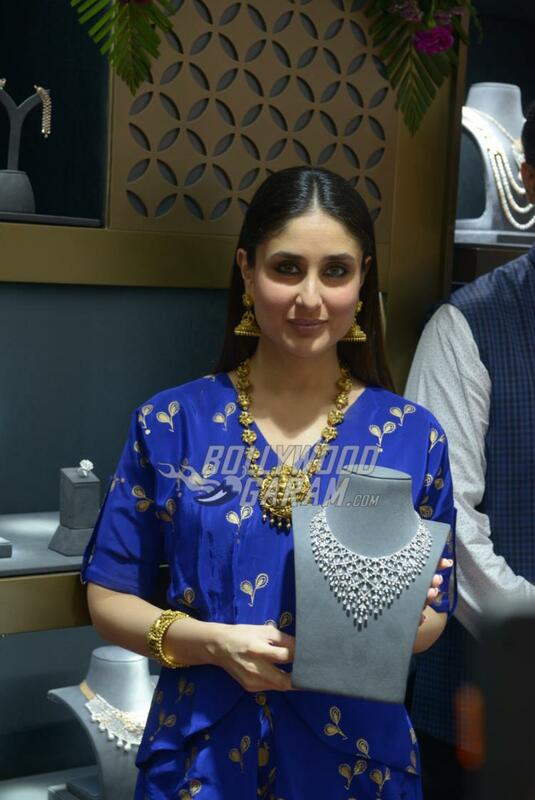 The actress cut the inaugural ribbon while launching the store and posed with various jewellery items at the store. 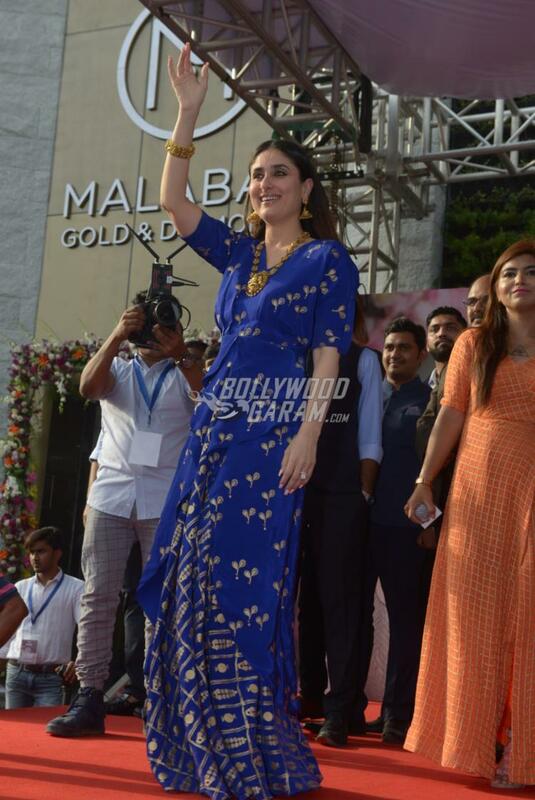 Kareena was also seen interacting with the crowd during the event. 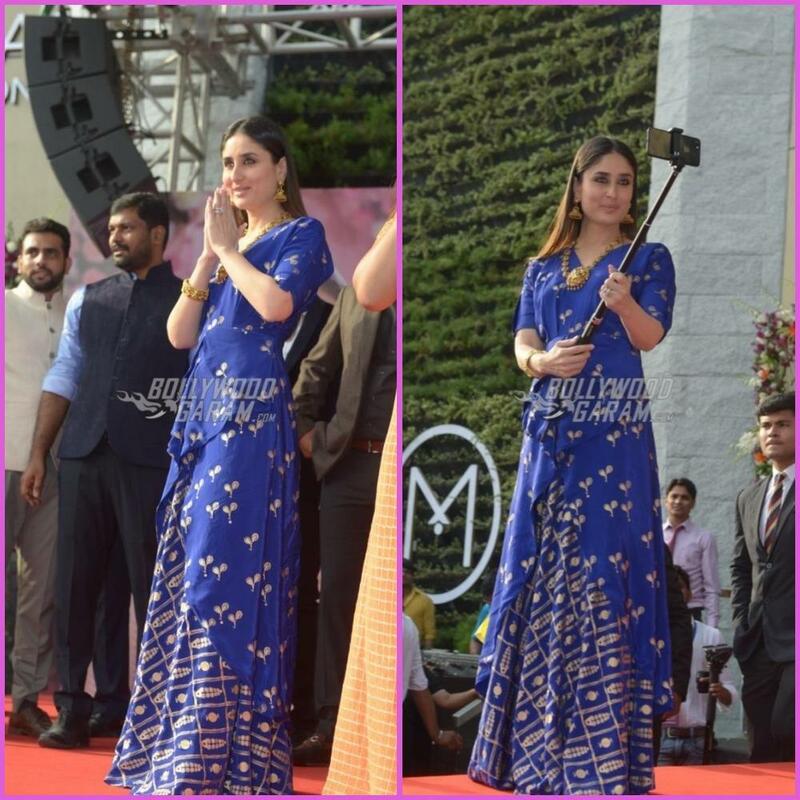 On the work front, the diva will soon be seen in the much awaited film Veere Di Wedding which also stars Sonam Kapoor, Swara Bhaskar and Shikha Talsania in lead roles. 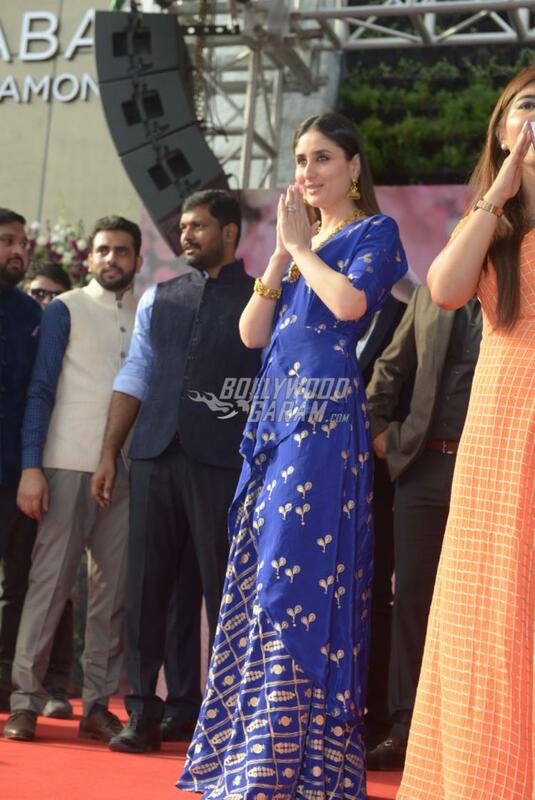 The actress along with her co-stars launched the official trailer of the flick which looks promising. 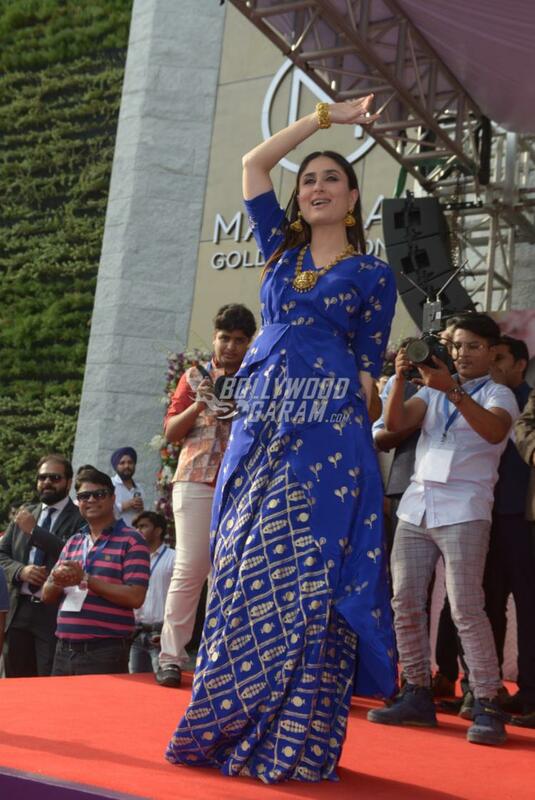 The film will mark the return of Kareena Kapoor to films after the birth of her son Taimur Ali Khan and will be released in theatres on June 1, 2018.